Lincoln “Sugar” “Booga” Minott, one of our greatest singers of Reggae music sadly passed away earlier this month, July 10 at University Hospital Kingston Jamaica aged just 54. He had been suffering from the heart condition Angina. Sugar began his recording career in 1969 as a member of a three-man vocal harmony group called The African Brothers. Together with fellow members Tony Tuff and Derrick Howard, they created a number of inspiring recordings, following the traditions of The Wailers, The Maytals and The Abyssinians. After a few of these memorable songs, The African Brothers went their separate ways. The 1970’s was to see the second decade of Jamaican home-grown popular music. The songs that originated from the recording studios of western Kingston were before the days of digital computerised sounds, so the singers and players of instruments were totally reliant on their individual and group skills. Songs were carefully created at rehearsals and jam sessions. Sugar Minottshot to fame in the late 1970’s early 80’s and became a regular favourite in the Reggae dancehalls all over the world when he recorded a srting of hits from Clement Coxsone Dodd’s world famous Studio One record label. 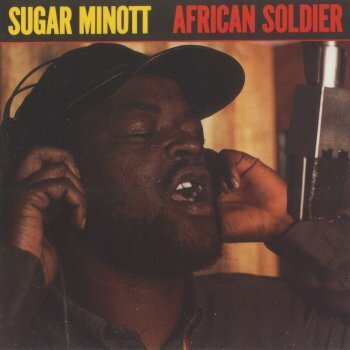 During his career, Sugar Minott was devoted to helping fellow sufferers and talented singers and musicians from the ghetto that had ambitions of getting a break in the music industry. He named one of his companies Youth Promotions, guiding and inspiring young artists like Barry Brown, Tristan Palmer, Nitty Gritty, Tenor Saw and Little John to name a few; and also producing songs for artists such as Captain Sinbad. Sugar Minott broke down barriers with his music composition and his business dealings. He didn’t want his productions to be determined by an executive producer, an A&R man and a record company. He wanted total artistic control over his music and the artists that he felt were talented enough to deserve time and energy being spent on developing their careers. In order to finance these recordings, he would often record for other producers and record companies simply to get the money to concentrate on his own productions. He leaves us with his numerous songs of hope and joy. PANTHER NEWSLETTER salutes Sugar Minottwho sadly passed away in Kingston Jamaica, July 10 2010. African Girl (featuring Ranking Dread), Give Me Jah Jah , Man Hungry , Hard Time Pressure: featuring Captain Sinbad, Is It True, Jah Jah Children, Jahovia, Lick Shot, Lovers Rock, My Love Is True, Oh Mr DC, Penny For My Song, The Dang Dang Song, Try Love, Vanity. This entry was posted on July 31, 2010 at 11:01 am and is filed under Articles, Black British Literature, Black History, Newsletter with tags Articles, Black British Literature, Black History, Newsletter. You can follow any responses to this entry through the RSS 2.0 feed. You can leave a response, or trackback from your own site.